The world’s leading aircraft manufacturers are forecasting blue skies ahead for the aviation industry over the next two decades. The 2014 market-outlook reports from Boeing, Airbus, Bombardier and Embraer predict the world’s aircraft fleet to double in size over the next 20 years. Virtually every major manufacturer has recently revised its forecasts upward. Boeing estimates the world’s passenger and freighter fleet to expand from 20,910 to 42,180 aircraft, with 36,770 new airplanes over that time period valued at $5.2 trillion. Most of this growth is expected to be in single-aisle airplanes, which are predicted to comprise 70 percent of units over the next 20 years, according to Airbus. Boeing estimated its production of 25,680 new single-aisle airplanes over that time period with a market value of $4.4 trillion, whereas Bombardier forecasts 22,000 business aircraft deliveries over the next 20 years. One reason for this boost in the recent aircraft market forecast is the replacement of aging aircraft, especially in North America. Airbus projects a 20-year demand for nearly 11,000 passenger aircraft to be replaced, largely in the single-aisle segment. Most of this replacement of an aging fleet of commercial aircraft is due to operating efficiency and the revenue requirements of the operating airlines. Emerging environmental concerns, new regulations and airspace modernization have also contributed to the retirement of older jets, according to Bombardier. Therefore, the new engine programs will also see dramatic growth during this same period. All major jet-engine manufacturers are developing more efficient and eco-friendly engines for these new aircraft. Coupled with historically low interest rates, many airlines have gone on a buying spree recently, contributing to an even larger backlog of aircraft orders. World urban population is likely to reach 5 billion by 2030, with the global middle class predicted to more than double, according to Airbus. In the next two decades, there will be more people in the world, with more wealth, living in urban areas. Airbus predicts the urban population to, in fact, grow from 51 percent today to over 60 percent. Billions of people are going to want to travel by air, which means that worldwide demand will drive industry growth. According to Embraer, demand is estimated to increase by an average of 4.8 percent annually through 2033. Boeing sees a future with passengers flying where they want and when they want. Airbus estimates that 27 percent of all trips during the upcoming 20-year period will be for visiting friends and relatives and will also reflect immigration flow. Similarly, the number of international students has nearly doubled since 2000, which has also contributed to aviation travel. Economic growth drives wealth creation, which influences worldwide demand for commercial air travel. Boeing and Airbus report that over the last decade, 67 percent growth has been seen in the aviation industry, despite multiple world crises, the 9/11 attack, the SARS near-pandemic and the financial crises. Much of this expansion has mirrored the growth of the world economy. According to Bombardier, when the world economy has historically grown by an annual rate of 3 percent or more, the aviation industry also typically experiences growth. Expanding passenger traffic usually continues with resilient growth in a difficult but improving economic period, according to both Airbus and Boeing. In fact, Boeing says its 20- year forecast shows strong long-term growth due to world economy (up 3.2 percent), number of airline passengers (4.2 percent), airline traffic (5 percent) and cargo traffic (4.7 percent). All of aircraft market forecasts predict that emerging markets are going to be the source for much of the projected growth occurring during the next two decades. In fact, according to Boeing, emerging markets are likely to lead aircraft travel and expansion. Airbus predicts emerging economies to represent 50 percent of new-aircraft demand over the next 20 years. For example, it is estimated that two-thirds of the population of emerging countries are going to take one trip per year in 2032. These emerging countries include South Asia, China, Southeast Asia, Africa, Asia-Pacific, Latin America and the Middle East. Airbus predicts Asia-Pacific to lead the world in aircraft traffic by 2032, followed by Europe, North America, the Middle East, Latin America, the Commonwealth of Independent States (CIS) and Africa. Embraer sees the Middle East and China as drivers, with an annual revenue passenger kilometers (RPK, which is a measurement of worldwide demand for air transport) of 7.1 percent and 6.8 percent, respectively, followed by Latin America (at 6 percent), CIS and Africa (at 5 percent). More first-time flyers are likely to come from an expanding middle class, which is predicted to grow from 2.2 billion people today to 5.2 billion, according to Airbus. By 2025 it is projected that emerging markets are going to capture just over half of the world’s gross domestic product (GDP). Embraer predicts that by 2033 Asia-Pacific and China will be the largest air-travel markets in the world, with a combined 40 percent of total global RPK. North America and Europe are considered mature markets that grow more slowly but still generate 36 percent of world demand. According to Bombardier, North America is going to have a modest fleet-growth rate due to its more established market, but it is forecasted to receive the greatest number of new business-jet deliveries between 2014 and 2033, with 8,760 units. In contrast, China has a very small business-jet fleet and is now entering a rapid growth phase, according to Bombardier. For planning purposes, the top three current programs are the Boeing 737 Max, Airbus A320 Neo and Boeing’s 787 series. In addition, other civilian aerospace markets are also expected to grow, like rotorcraft, which will only add to total aerospace part production demand. As long-term prospects for aviation remain strong, the time has come for Tier 1 and Tier 2 suppliers to invest in the technologies that provide for the capacity to handle rapidly increasing demand. 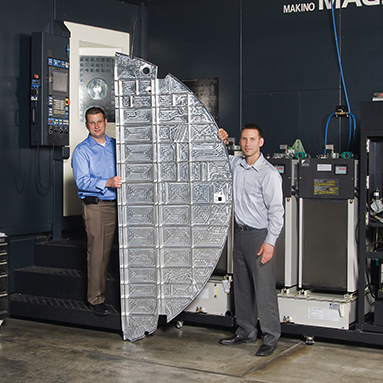 Now is the time to take advantage of this projected growth and invest in new machining technologies. 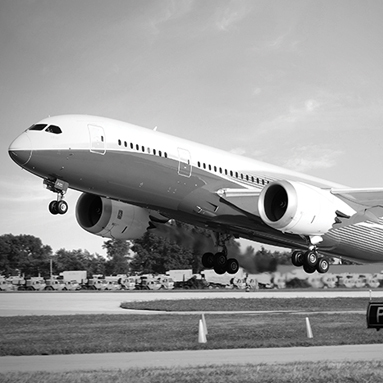 For more information on new developments within the aerospace industry, visit us online at Radical-Departures.net.